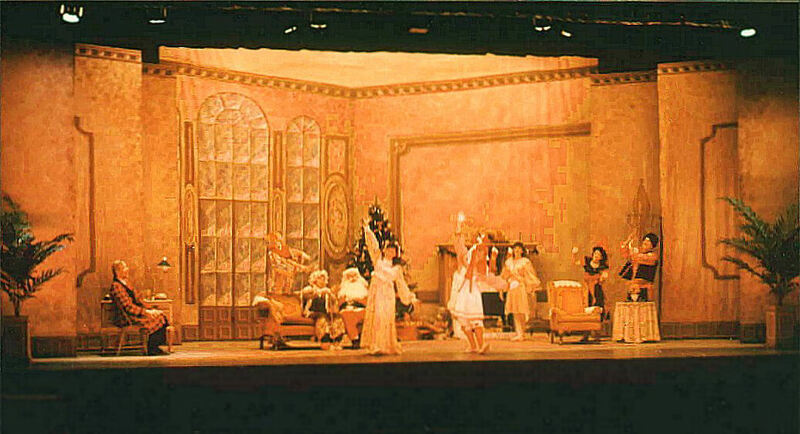 Children's Theatre Script and Play Descriptions - Classics On Stage! Playscript Descriptions, Ordering, Royalty & Production Rights Information . . .
All 24 On Stage! playscripts are listed in the Playlist Table below. "CLICK " on any title below and you will be taken to another "page" for detailed Script, Plot, Character and Setting Descriptions . . .
On the specific page for each script title below, you will find an extensive "sample" of that play in PDF format. If you prefer a "sample" in MS Word doc format - E-mail us . . .
for children, youth, and families - Click On The " " Titles Below. 1. The price for individual playscripts is $3.50 (all US funds) per copy. (For example 1 copy - $3.50; 2 copies - $7; 3 copies - $10.50; etc.) The minimum Royalty fee for non-commercial production is $40.00 for the first performance, $30 for each subsequent performance. Professional companies (Actor's Equity Association, etc.,) should contact On Stage! for Royalty quote if different from above. Costs are based on payment by check. 2. There is a Shipping/Handling charge (S/H) consisting of Priority Mail postage (USPS) plus handling. USPS First Class Mail is no longer an option. SEE table below for S/H. Cost for each individual playscript is in addition to S/H cost above. S/H to addresses outside the continental US or special "overnight" shipping cost (FedEx, USPS, etc.,) will be quoted upon application. Please include: a) Your name, b) Your position with and the name and location of your organization or school, c) Any questions you may have, d) Script title/s and version/s - where relevant - that interest you, e) How you intend to use the script/s (perusal for production only, "classroom," etc). We'll reply promptly with answers including price confirmation or cost adjustment, usage protocols, particulars about payment options A or B below or address any other questions. B.) Credit card payment - If you choose this option, credit card payment will be made to us through PayPal - the world's #1 online payment service. Our confirmation E-mail response to you will contain the secure On Stage! PayPal "link." Your personal credit card information is not relayed to us. Scripts are shipped when payment is authorized (usually same business day). Credit payment adds about 3% to any total - not necessary for check payers. CREDIT CARD PAYMENT? Pay us securely with your Visa, Master Card, Discover, or American Express card through PayPal! What is PayPal, you ask? It's the world's #1 independent online payment service and is accepted on millions of eBay auctions and by many thousands of online companies. Over 140 million people in 56 countries worldwide utilize PayPal. It should be understood that no play in this collection may be produced or performed anywhere without advance written permission from our office. Each performance is subject to the payment of a Royalty fee. Royalties can be paid at the time you place a "production" script order (enough scripts for cast, director, stage manager and so on). If the number of performances is indeterminate at time of production script order, Royalties may be paid separately at a later date. Please note, however, that Royalty payment must be paid no later than 10 days prior to your first performance to authorize your production. 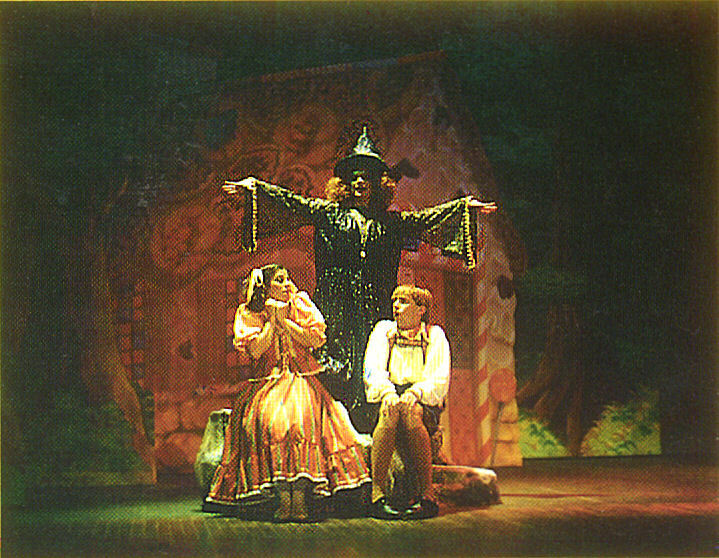 A play is considered "performed" any time it is acted or read before an audience or "classroom" of any size in any location, whether or not admission is charged. Of course, ordering individual script title/s for "perusal for production only" does not require Royalty payment. It is forbidden by international copyright law to reproduce, edit, or "rewrite" any copyrighted material in whole or part in any form (including video taping), without the expressed written permission of the copyright holder. In practice we've discovered that most producers find it more time efficient, cost effective and convenient to purchase our pre-printed playbooks. Help us keep our affordable prices: We cannot send free perusal copies of playbooks "on approval," although we can attach an extensive "sample" (in MS Word "doc" text format) of any playscript title to an E-mail upon request. A PDF of this "sample" may be obtained at the bottom of each Individual Script Description page. Playbooks are non-returnable. We reserve the right to decline to do business with and/or issue performance rights to anyone or any organization at our discretion. MICHELE L. VACCA, the award winning author of all the scripts contained in this collection, spent many years working in professional childrens theatre as an actress, playwright, dramaturge and director, primarily in the Chicago metropolitan area. A graduate of Northwestern University, holding both a Bachelor of Science in Theatre and a Master of Arts in Playwriting, Ms. Vacca received a Sam S. Shubert Fellowship for playwriting as an undergraduate. After she earned her Master's Degree, the Shubert Foundation in New York chose her as one of four graduate recipients in the United States to receive a second Fellowship. Since that time her children's theatre scripts have been performed thousands of times in numerous theatres and schools across the US, as well as internationally. 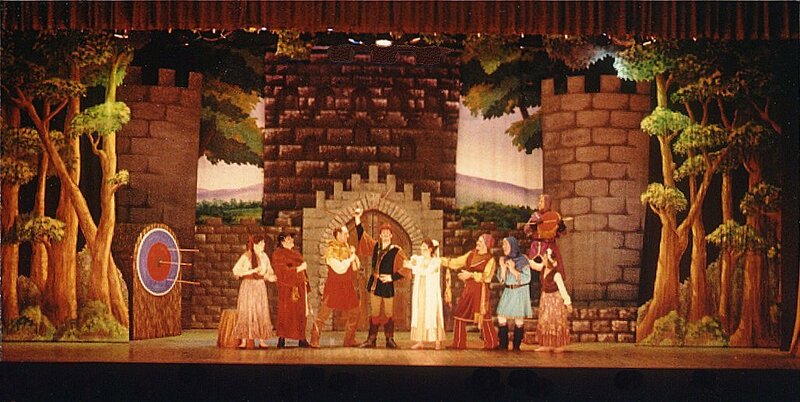 Each script contains many production hints, but we can also also offer further suggestions regarding scenic, property and costume design; make-up, sound effects, choreography, magic effects, musical augmentation ideas such as sources for reasonably priced sheet music and/or links to some of the wonderful variety of free music resources to be found on the Internet. Ideas for advertising and other artistic and business aspects of production can also be obtained by those who produce an On Stage! play. Study guide information, ideas and suggestions from Internet resources for organizational / school use is available to groups producing our scripts. Also, On Stage! realizes that some organizations require shorter plays. To these companies we will offer suggestions regarding cutting and changes when it is possible to do so without harm to the artistic content of the play. We can also offer fun and creative suggestions and tips to organizations who want ideas about ways to expand the cast size of one of our plays. Indicate your interest in and requirements for any of these services at the time you actually decide to "produce" an On Stage! script. Note: each play in the collection was originally designed for a maximum total 90 minute time format which included an intermission and in most cases dance interludes and musical sequences. The individual listed playing times (usually 70 to 80 minutes) are approximations only, and do not allow time for intermissions, overtures, or variations in playing, directing and acting styles. Classics On Stage! - On Stage!